A summary on Black Like Me examines nonfiction book by John Howard Griffin. 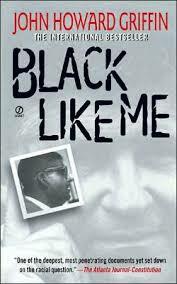 Black Like Me is a 1961 nonfiction book by John Howard Griffin. The book recounts the journalist’s journey through the American Deep South in the 1950s, where most African-Americans continued to suffer under the brutal conditions of Jim Crow. Griffin had his skin temporarily darkened in order to pass for a black man, and traveled through Louisiana, Mississippi, Alabama, and Georgia. His diary formed the basis of the book. In 1959, Griffin traveled to New Orleans, where he underwent the controversial skin-darkening procedure. Accompanying him was the photographer Dan Rutledge. When stopped and asked, Griffin always told the truth. He never lied about not being an African-American, and often volunteered very little, merely observing the constant stares of hatred from many southern whites. Expecting to find some racism, Griffin is shocked by the open, often violent prejudice. Hitchhiking through Alabama and Mississippi, Griffin describes communities beaten down, but finds a sense of urgency in Montgomery, where Dr. Martin Luther King, Jr. was leading the local civil rights struggle. Griffin’s despair at the state of conditions for African Americans leads him to stop the experiment, lightening his skin to the point where he can pass as either black or white. He notes that, regardless of the color of his skin, he encounters open hostility from the opposite race. After reaching Atlanta and interviewing several African American leaders about the state of race relations in the United States at the time. Psychology of Blackness research papers discuss this psychological perspective that tries to include the unique world view of African-Americans. Deculturalization Research Paper - Spring calls segregation and the early educational system primary promoters of deculturalization. Paper Masters writes custom research papers on a Black Like Me Sumarry and examines a nonfiction book by John Howard Griffin.